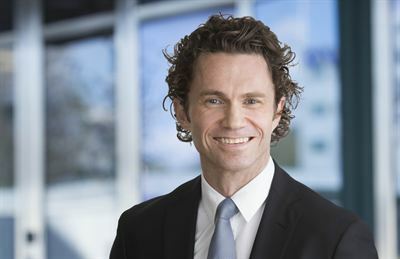 “As the new CEO, I see a very exciting time ahead for ÅF with broad development prospects. We have a unique collection of expertise that is in demand as our clients develop their businesses in a global digitised market. Societal developments are driving demand for our services and the first quarter shows increased profit with continued strong profitability,” said Jonas Gustavsson, President and CEO. ÅF’s EBITA for the first quarter totalled SEK 286 million, which is an increase of 25 percent compared with last year and the best Q1 profit to date. The quarter also shows growth of 24 percent and a strong cash flow. The Industry, Infrastructure and Technology Divisions continue to progress well, while the International Division was affected by the weak energy market in Europe. Our assessment is that the market remains strong, with large variations in demand across industries. The high pace of government investment in infrastructure in Sweden and Norway drives high demand for ÅF’s services. The automotive, paper and pulp, and pharmaceutical industries are growing, and ongoing digitalisation increased demand for digital services from most industries. The mining and steel industries show signs of increased demand, but from low levels. The energy market in Europe remains weak, while demand continues to grow in Southeast Asia, mainly driven by population growth and urbanisation. The Industry Division continues to show profitable growth. The automotive business is performing well and is growing both in Sweden and abroad. A clear trend is that demand for engineering services is increasing at all stages, from design and product development to industrial automation. During the quarter, the Division’s offering was strengthened with the acquisition of Quality Engineering Group in Sweden, which works with quality assurance in the energy, life science and process industries. The Infrastructure Division exhibits persistently strong growth of 29 percent, of which 12 percentage points is organic, with healthy profitability. The ability to run many small projects as well as large, complex projects is a success factor. During the quarter, the Division won yet another airport project, this time at Stockholm-Arlanda, a pre design project at Aker Hospital in Oslo and lighting design at Stockholm’s Central Train Station. The acquisition of Midtconsult early in the year has given ÅF a good base for continued growth in Denmark. During the quarter, we were entrusted to participate in the Danish-German tunnel project between Rødby in Denmark and Puttgarden in Germany. Business in the International Division continued to be influenced by the weak European energy market. Meanwhile, demand for renewable energy is increasing, and we won two such assignments in Lithuania during the quarter. The integration of AF Toscano in Switzerland is underway, providing ÅF with a good platform for a growing infrastructure business in Switzerland. The Technology Division continues to grow and improve its EBITA. The market for digitalisation is growing and the strongest demand for the Division’s services came from the automotive and defence industries, and the banking and financial sector. Several new contracts were secured in the first quarter with companies such as Fingerprint Cards, Scania and Saab, as well as a new agreement for IT administration and digital development with Hertz. ÅF’s brand is essential to retaining and advancing our employees and to taking advantage of the expertise that exists within the company, along with being able to recruit the very best. During the quarter, digital solutions were launched to improve the recruitment and onboarding process, leadership was strengthened through a manager retention project and a new focus on career and skills development was implemented. These efforts have shown results and the recruitment rate continues to be high. Overall, ÅF continues to grow both organically and through acquisitions, profitability is improving and our efforts to strengthen the brand are showing results. A strategy review will be initiated this spring with the purpose of ensuring that ÅF continues its strong development. The target for 2020 remains: ÅF will generate net sales of EUR 2 billion and achieve an operating margin of 10 percent over a business cycle. This information is information that ÅF AB (publ) is obliged to make public pursuant to the EU Market Abuse Regulation. The information was submitted for publication, through the agency of the contact person set out above, at 25 April at 11.00 am CET.